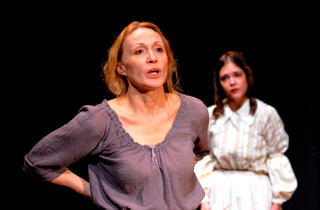 While carving out a career as one of New York’s most accomplished and versatile stage actors—in shows including Follies, The Royal Family and Lend Me a Tenor—Jan Maxwell has continued to work with the tiny PTP/NYC theater, which specializes in the dark political plays of British scribe Howard Barker. In Scenes from an Execution, Maxwell stars as 16th-century Venetian painter Galactia, who angers the government with her depiction of war. It is the five-time Tony nominee’s sixth collaboration with the company and, she reveals, her farewell to theater acting. How are you enjoying rehearsing in Vermont right now? I love it because, obviously, it’s so beautiful, and also we’re working with students from Middlebury College and they’re wonderful. It’s a production that Middlebury produces with PTP/NYC so we get the dorm rooms, the theater, the sets and the costumes from the college and that’s how we can do it. We’re not making any money here; we’re losing money, taking home maybe $250 a week. But it’s what I feel is a worthwhile project. You did Scenes from an Execution with PTP/NYC in 2008. Why did you want to tackle it again? Howard Barker is my favorite playwright. He’s a prolific genius; it’s almost like modern-day Shakespeare. The language is so dense and beautiful and forward-moving; it really propels you. He writes strong, unsentimental, unlikable characters, and I like that. [Laughs] The play is about an artist who gets commissioned to paint the Battle of Lepanto and decides to paint it her own way, not celebrating it like the government wants. She paints a slaughter, and they call it blasphemy. The play’s ending surprised me. Yeah, it’s a really fascinating ending. It’s so multifaceted. The government could execute her, but [instead] they do what she doesn’t want them to do: They take credit for it. The sexism and the power that the government holds over her are quite extreme. Yet Galactia herself is hardly just a victim. It is probably my favorite role. She’s so mean, so ruthless. I love that she’s such a hard-core genius, such a talented artist. 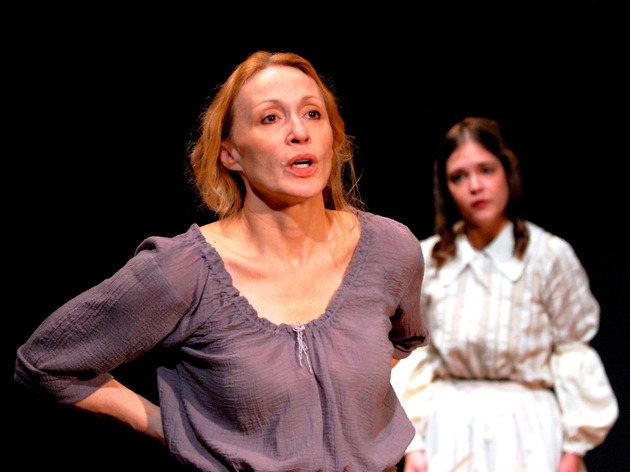 Galactia is a strong, unsympathetic woman, and you don’t see that very often in theater, although you’re starting to see it more. Women are getting stronger; I’m very heartened by that. Nothing scares people more than an educated woman. And I’m retiring from theater, so I thought, What play would you really, really like to do? This is what I came up with, so we’re doing it. Yeah. The kinds of roles I was being offered were just…I’d been there and done that, and I just didn’t want to do that anymore. If I could do television and film just to keep the health insurance going, that would be great. But I don’t know if that will happen. I’m surprised to hear that. You’ve gotten to play a lot of different roles, on and off Broadway, in straight plays and musicals. I’ve been extremely lucky to have had a multifaceted life in the theater. Truly, I’m such a little brat. When I’m doing a musical, I’m going, Oh, my God, why can’t I chew on something here? Then when I’m doing something really hard like this, I’m going, Can’t we just sing and dance? [Laughs] But I’m 58 years old, and it’s a lot of work and a lot of responsibility. It’s eight shows a week, and I’ve been disappointed in the kind of theater that you can make a living doing. Is that a bad sign for theater? I was so heartened when I saw An Octoroon and The Nether and The Evening and Hamilton. I thought, Off Broadway is in such great hands. I think theater saves people’s lives and it’s wonderful. This is just a personal choice for me. I’ve been doing a lot of traveling in the last couple of years, and I want to travel more. There are things I want to see and do. Looking back on your theater career, can you talk about what some of the highlights have been? I’ve always loved working with Doug Hughes. The Royal Family was a treat for me; City of Conversation last year was wonderful because he was in the room. He’s been a champion of mine for a long time and he’s a true gentleman and a wonderful person, and anything with him has been a highlight.